Judge Hollis D Garmon, age 99, of Greenville, Texas, passed away peacefully in his sleep Thursday, March 21, 2019, at Colonial Lodge. A memorial service will be 11 AM, Friday, March 29th, 2019, at Miller Grove Methodist Church with Rev. Bill Garmon officiating. Visitation will be at 5:00 PM to 7:00 PM Thursday, March 28th, 2019, at Coker- Mathews Funeral Home. Hollis was born October 21, 1919, in Rains County, Texas, the fourth of six children to Frank Russell and Ola F. Landrum Garmon. Hollis later returned to finish school in Commerce, receiving both Bachelor’s and Master’s degrees in Music and Political Science. After college, Hollis spent five years teaching school and acting as principal, but was most proud of his time as band director. He worked as a real estate broker while also attending South Texas School of Law. In 1958 he opened his private law practice in Houston, with his wife June as legal secretary. In June of 1960 they decided to move the family and his law practice to Greenville, Texas. Hollis became assistant District Attorney in Hunt County in 1963. He was active in several clubs, served as President of the North Texas Lawyers Association in 1964 and was Membership Chairman for the American Bar Association in North Texas in 1965. In 1968 Hollis was elected District Attorney for the 8th Judicial District (Hunt, Delta, Rains, and Hopkins Counties). Soon after taking office, Hollis launched a successful campaign for Hunt County become a separate judicial district as a solution to the backlog of both civil and criminal court cases. With help from Rep. James D Cole and the late Sen. Ralph M Hall of Rockwall and others, the legislation was passed, and the 196th Judicial District was created with Governor Preston Smith appointing Hollis Garmon as the first District Judge for the new district. 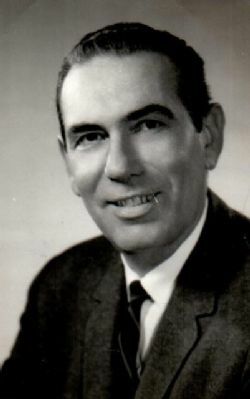 In 1970 Hollis was elected to continue as District Judge. Under his efficient leadership the court disposed of almost 5400 cases in four years, earning him admiration among his peers and colleagues. Hollis served as State Judge for the 196th District thru 1979. That year the Texas Supreme Court created a new system of special impact courts around the state, provided by the federal government, and Hollis was among the first to be appointed by the Texas Supreme Court to serve as one of these few special Senior Visiting Judges. Hollis was honored to serve until 2002 when he retired after almost forty years on the bench. Hollis was listed in Who’s Who in Texas for 1973, 1974, and 1976, as well as Who’s Who in American Law in 1977. He was also honored to speak in Austin to the judicial committee of the Texas Constitutional Convention regarding problems relating to district courts that only serve one county. For more than six years Hollis and close friend Game Warden Glen Mitchell led annual boat trips along the Sabine River. Hollis didn’t care much for holding a fishing pole but knew his wife and friends never tired of trying to hook the “big one”. Hollis spent hours looking at horse magazines, studying and marking notes about bloodlines or personality characteristics of certain great horses, and he never tired of watching his own palomino and paint horses. There was anticipation every spring awaiting the birth of at least one foal. Hollis’s love for music brought him the most joy throughout his life. He inherited the family talent for singing and playing any musical instrument. He loved entertaining others with his exaggerated singing and adding his own unforgettable twist to his piano playing. He had a smile that was contagious, and would give a stranger the shirt off his back, or the last dime in his pocket. He will be greatly missed. He is survived by his loving wife of sixty-five years, June Pegoda Garmon; daughter Gloria Jean Garmon, of Greenville, Texas; son Jason Thomas Garmon of Palestine, Texas; granddaughter Rachel Croitz Campbell and husband Brett of San Angelo, Texas; grandson Jonathan Hollis Croitz and wife Rocio of San Angelo, Texas; granddaughter Hailey Hull of Terrell, Texas; grandson Saxton Garmon of Arlington, Texas. Two great grandchildren, Elizabeth and Matthew Croitz, of San Angelo, Texas. Hollis is also survived by four sisters-in-law he held dear: June (Paul) Garmon of Miller Grove, Texas; Elaine (Frank) Garmon of Sulphur Springs, Texas; Jeane (Charles) Baker of Springfield, Tennessee; and Sharon (Rick) Ducharme of Montgomery, Texas, as well as numerous nieces, nephews, and cousins. He was preceded in death by his parents, and all five of his siblings: three brothers: Robert, Paul, and Frank Garmon; and two sisters, Louise Garmon Stripling and Geneva Garmon Stripling, all of Miller Grove, Texas.